For those Austin home buyers looking for additional security, you might be considering homes in 24/7 guard gated communities. In your Austin home search, you’ve probably found it is difficult to determine which luxury gated communities are guard gated. That’s because there is no field on MLS that easily allows filtering of homes in 24/7 guard gated communities from homes that have the keypad gates. If you’re looking for a home in a 24/7 guard gated community, you have to know where to find them. Below we’ve listed the communities that are 24/7 guard gated, where you can find them, how much you can expect to spend and what you can expect to see when you get there. 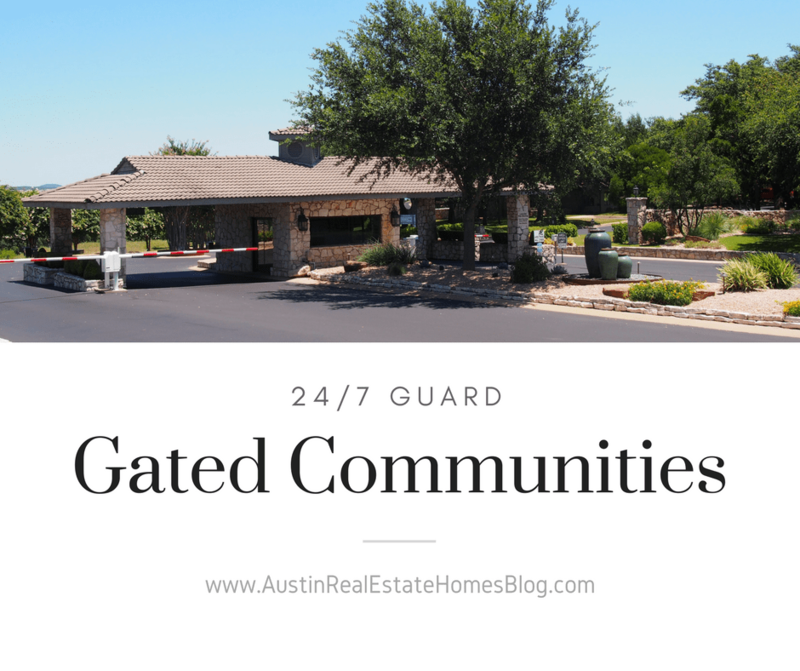 To help make it easier for you, we’ve put together a list of the ten 24/7 guard gated communities in Austin. For the purposes of this list, we’re including 24/7 guard gated communities in Travis, Hays and Williamson Counties. Some of them are outside the city limits of Austin, but are considered part of the Austin metro area. 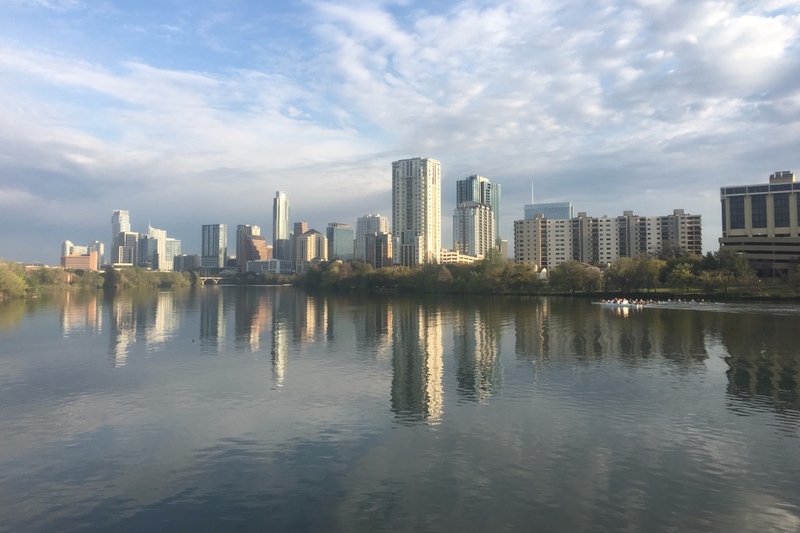 To help you see where each of these communities are located in relation to Austin or any other landmark you’re looking at, we’ve mapped the ten, 24/7 guard gated communities in Austin. The map is interactive, so you can zoom in and out and explore the area. The shaded neighborhoods can be clicked and are linked to the neighborhood pages. Barton Creek Lakeside is a waterfront, private golf course community in Spicewood, TX just about 45 minutes from Downtown Austin. The neighborhood wraps around some deep water coves of Lake Travis, so there are quite a few waterfront properties. Most of the waterfront homes sit atop a bluff, so you’ll get a great lake view and can easily install a cart to take you down to your dock. Homes are set back from the street and many are heavily wooded for added privacy. There is a range of housing available – everything from an affordable starter or second home to a multi-million dollar estate. The club has tennis facilities as well, so you’re covered with all three activities. If you’re looking for private golf course living, Barton Creek Lakeside is one of the most affordable communities in the Austin area. For more info and to search homes for sale, visit our Barton Creek Lakeside Neighborhood Guide. 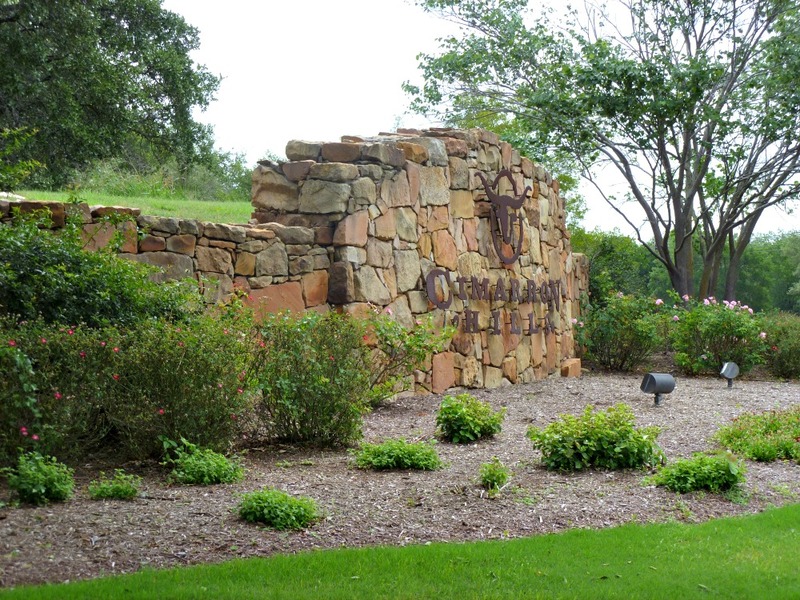 Cimarron Hills is Georgetown’s exclusive country club community. Located in the gateway to the Texas Hill Country, Cimarron Hills is for you if you are looking for more of a country club atmosphere, but don’t want to sacrifice the true Texas feel. Built over the last decade, you’ll find large homes with the level of finish out you’d expect in a luxury home. Chef quality appliances in gourmet kitchens, luxurious master bedroom suites, flagstone patios and beautifully landscaped outdoor living spaces are just a few things you’ll find in Cimarron Hills homes. 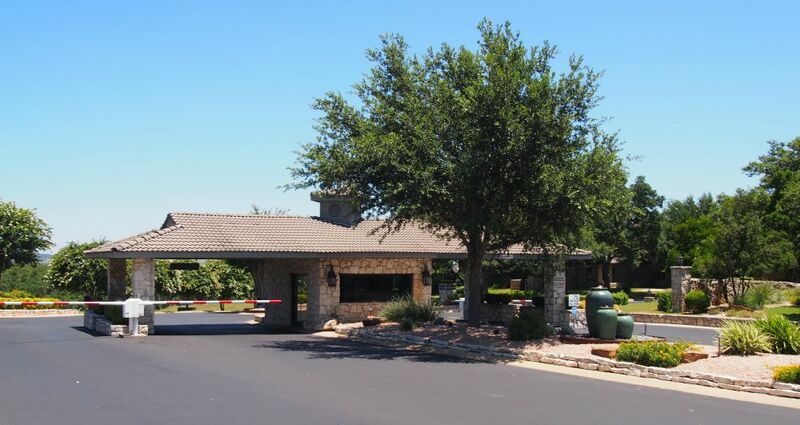 If you’re looking for guard gated north of Austin, Cimarron Hills is your only choice. For more info and to search homes for sale, visit our Cimarron Hills Neighborhood Guide. Flintrock at Hurst Creek is one of Lakeway’s newest and premier golf course communities and the perfect choice for you if you want country club living in a fairly new home. Most of the homes have luxurious outdoor living areas that are utilized most of the year, which makes the living area of homes much more expansive. About half the homes in Flintrock back to the golf course, which is a great way to create the feeling of space, without having to maintain it. If you want a larger yard, select one of the homes that don’t back to the golf course. Either way, The Hills Country Club is minutes away by car, bike or on foot and you’ll probably find yourself doing a lot of your socializing there. Plus, Flintrock is located in the highly sought after Lake Travis ISD, making it an ideal choice for buyers who are interested in highly rated public schools. For more info and to search homes for sale, visit our Flintrock at Hurst Creek Neighborhood Guide. If you are looking for a more established, guard gated neighborhood with mature trees and estate sized lots, the Hills of Lakeway is the best choice. Built in the 1980s, 1990s and 2000s, The Hills homes are far from cookie cutter. The architecture, floor plans and finish outs are all different. You’ll get a larger than average lot, mature landscaping and easy access to golf and water. A social membership to the Hills Country Club is mandatory, but you’ll also get a fitness center, kids playground, sports courts, tennis courts and a small airport. One of the closer guard gated neighborhoods to Downtown Austin, The Hills attracts those who work Downtown or those who need to get to and from the airport often. And, with a wide range of housing sizes and prices, home buyers in all stages of their lives will have options. 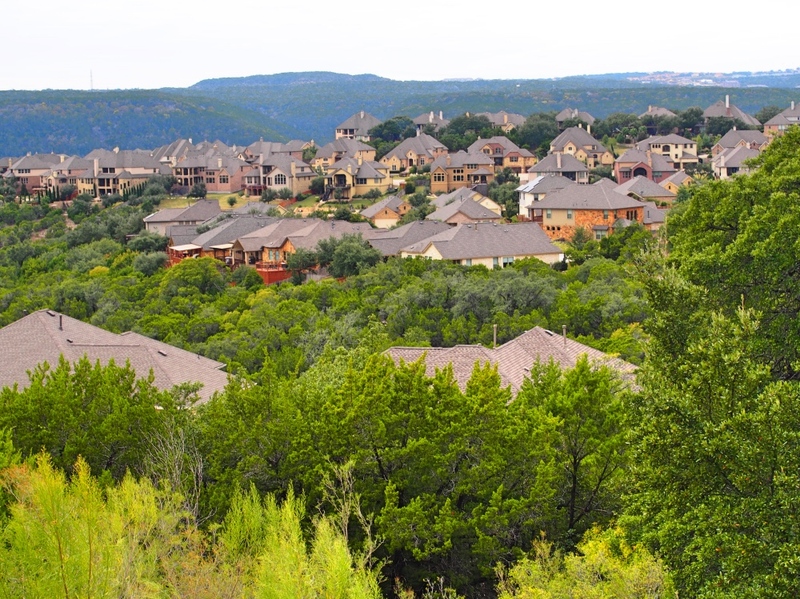 For more info and to search homes for sale, visit our Hills of Lakeway Neighborhood Guide. Point Venture is a small village in Travis County with just about 800 full time residents. Basically just the point of a peninsula on Lake Travis near Lago Vista, Point Venture is a beautiful, secluded place with spectacular water views. If you’re looking to affordably live like you’re on vacation, Point Venture might be the place to check out. Or, if you’re looking for a vacation rental in a 24/7 guard gated community where your guests have access to a public golf course and the water, Point Venture is also the ideal place to have that. For more info and to search homes for sale, visit our Point Venture Neighborhood Guide. The Reserve at Lake Travis is one of the more upscale, 24/7 guard gated communities, with all recently built, luxury homes. Named 2015 Best Overall Community by the Home Builders Association of America, the Reserve at Lake Travis has a private lake club with swim park, equestrian center for exercising, training and boarding horses, state of the art marina and luxury cabin rentals. You’ll find homes that sit on estate sized lots for the ultimate luxury, cliffside cottages for someone looking for something a little more manageable or a second home and villas for those looking for maintenance free living. The Reserve at Lake Travis is in the beginning stages of development, so the neighborhood isn’t guard gated just yet. But, the plans are to turn this into a 24/7 guard gated community. For more info and to search homes for sale, visit our Reserve at Lake Travis Neighborhood Guide. Rob Roy is one of the more established 24/7 guard gated communities in Austin and the closest to Downtown Austin. Rob Roy is also in the highly acclaimed Eanes ISD, making it the best choice for luxury buyers looking for the best schools. Not every section of Rob Roy (there are 6) is guard gated, so if guard gated is important, you’ll want to make sure you’re in the section off 360. Though homes were built in the 80’s and 90’s, you’ll find expansive homes on estate sized lots, which is something you won’t find with much of the newer construction in the area. Rob Roy is also very scenic. If you don’t have a water view, you’ll likely have a beautiful Hill Country or greenbelt view, making it a great place to retreat to after a long day. For more info and to search homes for sale, visit our Rob Roy Neighborhood Guide. Spanish Oaks is one of the premier, private golf clubs in Austin. While most neighborhood’s use the best parcels of land for homes, Spanish Oaks planned their golf course first to ensure they came up with a challenging and scenic course. This dedication to top quality golf makes Spanish Oaks the go to course for professional golfers who choose to live in Austin. Membership to the club is optional, but you’ll find most residents at least have a social membership to interact with their neighbors and have a convenient place for a drink or dinner. If you’re looking for a luxury, Hill Country home in a 24/7 gated community that’s only about 20-25 minutes from Downtown Austin, Spanish Oaks is the best neighborhood for you. For more info and to search homes for sale, visit our Spanish Oaks Neighborhood Guide. 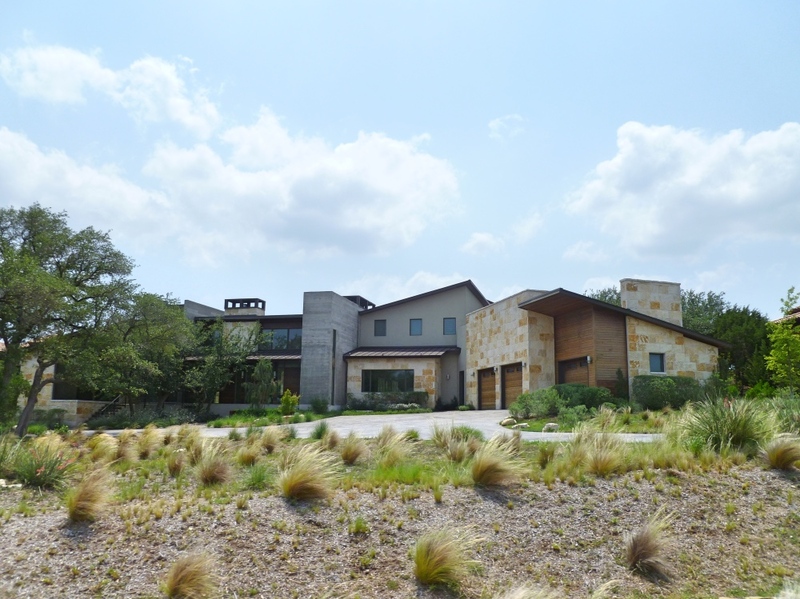 Steiner Ranch is probably the most well known master planned community in Austin and for good reason. With three amenity centers, a private golf club, Lake Austin access and a full time activities director, there are endless entertainment options for every age resident. Not all of the neighborhood is 24/7 guard gated, but a pocket neighborhood near the UT Golf Club is. Homes in the guard gated section of Steiner Ranch range from affordable luxury to luxury homes that line the golf course. Membership to the club is not mandatory, but the club gives residents social, dining and golf options on top of the many amenities Steiner Ranch has to offer. Average and median price taken from ACTRIS data 1/25/2018-1/26/2019. What is the Closest 24/7 Guard Gated Community to Downtown Austin? Rob Roy is the closest 24/7 guard gated community, followed by Spanish Oaks as second closest. Steiner Ranch, on paper, is reasonably close, but because of the traffic patterns and only one entrance and exit to the neighborhood, rush hour can add several minutes to the trip. Rob Roy is your best bet if you want to keep a commute to Downtown Austin as fast as you can keep it from a 24/7 guard gated community. The entrance to the 24/7 guard gated section of Rob Roy is off 360, so if you have some days where you need to go to north, that is a fairly easy trip as well. Spanish Oaks is located along the east/west Highway 71 commute, which makes it a fairly easy trip to either Downtown Austin or the airport. Highway 71 is one of the few roads the city has expanded faster than the capacity has grown, so it rarely stops, even during commute hours. If you need to have easy access to both Downtown and the airport, or are better with traffic that is always moving, Spanish Oaks is the best choice. Which 24/7 Guard Gated Communities Have the Best Schools? If you’re looking for highly rated public schools and a 24/7 guard gated community, you do have some choices. I’ll separate them into school districts here, so you have a sense for where they are. Rob Roy is located in the highly sought after Eanes ISD. 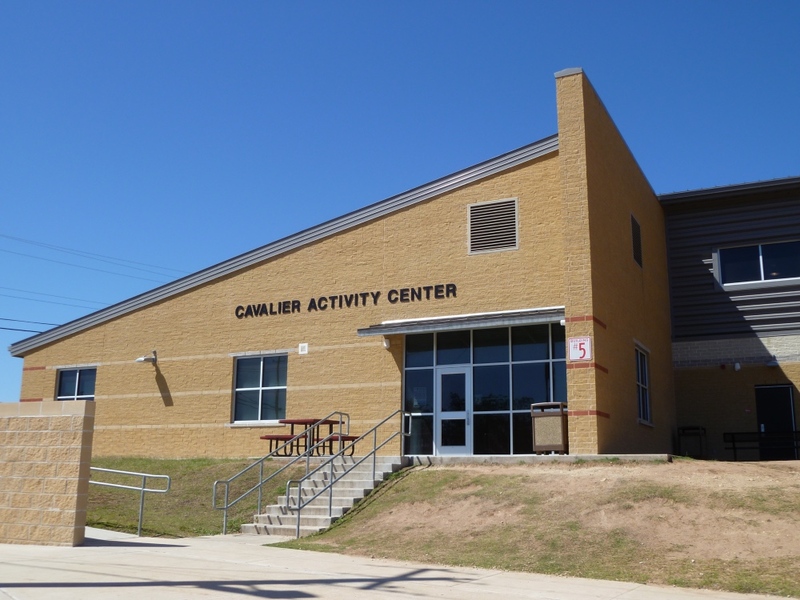 Kids attend Bridge Point Elementary, Hill Country Middle and Westlake High School. The Eanes ISD is the highly rated school district in Austin. The Lake Travis ISD, the next school district west of the Eanes ISD when traveling from Downtown Austin, has several choices. Flintrock at Hurst Creek, Spanish Oaks, The Hills of Lakeway and Reserve at Lake Travis all are zoned for Lake Travis ISD schools. Lake Travis ISD is a similar size to the Eanes ISD, approximately 10 schools, so the entire district is rated well. 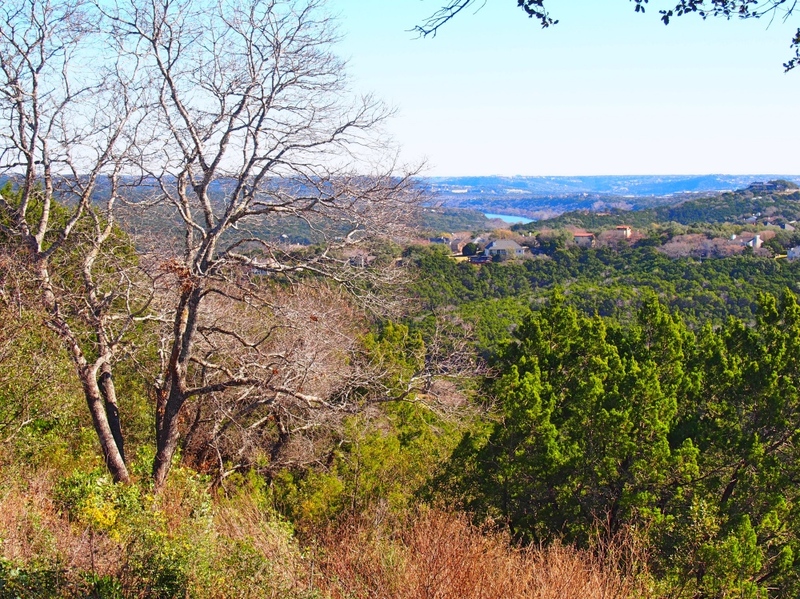 Spanish Oaks is closest to Downtown Austin, followed by The Hills and Flintrock and the Reserve at Lake Travis is the furthest away in Spicewood. The 24/7 guard gated section of Steiner Ranch is located in a highly rated section of the Leander ISD. Kids attend River Ridge Elementary, Canyon Ridge Middle and Vandegrift High School. All are very highly sought after schools and located within a short drive to the community. Looking for a Home in One of the 24/7 Guard Gated Communities in Austin? 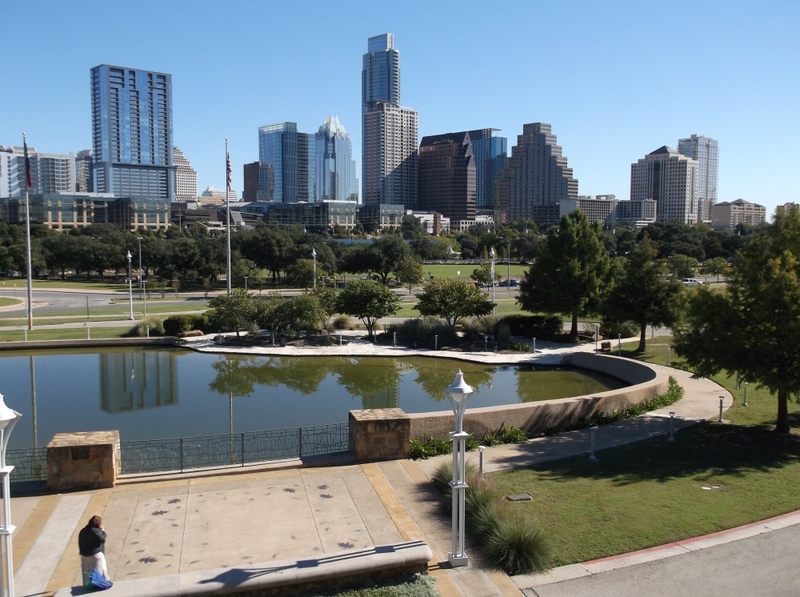 We know these neighborhoods well and can help you find the best Austin neighborhood for you and your family. We take the time to listen to what you’re looking for an offer 5-star, concierge level service. For more info about how we help Austin home buyers, check out our Buying a Home in Austin section. Then, call us at (512) 827-8323, email us at info@11OaksRealty.com or fill out our Buyer Survey to get started.